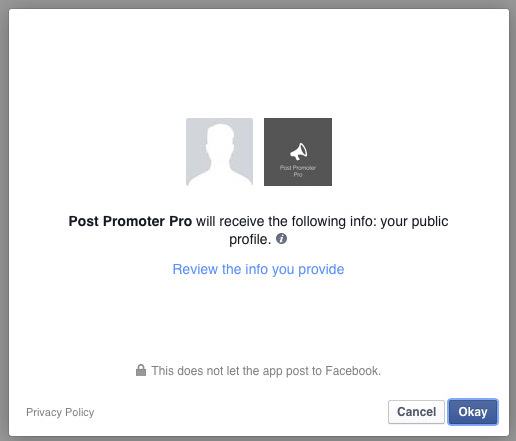 The second is to allow Post Promoter Pro to post to Facebook on your behalf when you schedule blog posts to be published. 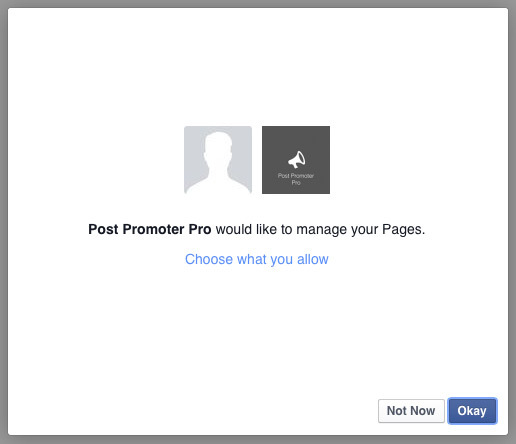 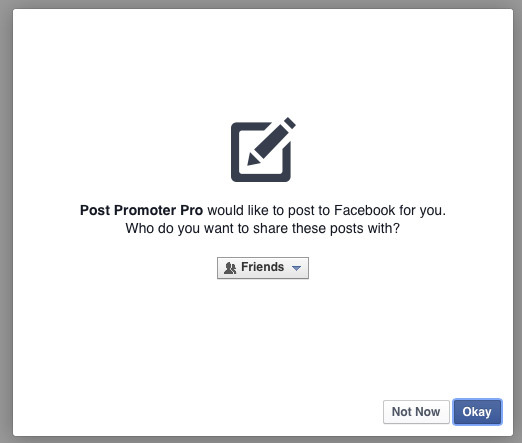 the last permission is to allow Post Promoter Pro to publish to any Facebook Pages you have publish access to. 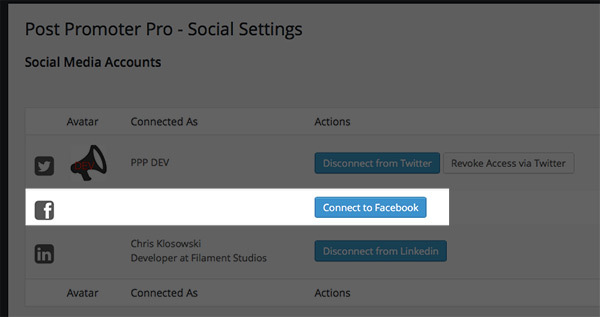 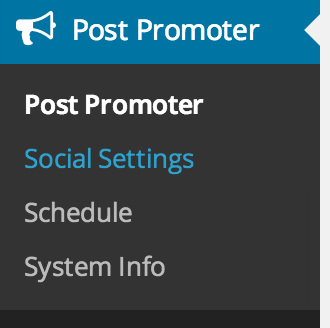 Once all three of these are approved, you’ll be re-directed back to the Post Promoter Pro Social Accounts list, where you can choose to have Post Promoter Pro publish content to your timeline, or to a Page you have publish permissions to.